When I was 16, the President of the United States visited my home town. It was a massive event for Galway and, fuelled by the passion which often drives people at that age, I attended a mass protest against the decision by University College Galway (now NUIG) to award an honorary degree to Ronald Reagan. By that stage, people knew that his Government had been involved in war crimes in the Middle East and Latin America. His funding of people like Osama Bin Laden in Afghanistan and sale of chemical weapons to Saddam Hussein in Iraq was widely known, but that did not stop the city fathers from closing down the city centre and rolling out the red carpet in his honour. Regina Hennelly joined Sean in studio to discuss the progress of the Corrib Gas project and says that Shell say that the gas will flow from summertime this year. RTE Radio 1 just broadcast another retrospective on resistance to Shell's Corrib project. As with previous efforts it failed to describe any of the victories won by community resistance or the role of the state and in particular the Garda in repressing that resistance. There was a brief chuckle between the presenters when Maura Harrington made the obvious link to the way the state has treated communities resisting the water charges, 7 people will probably be jailed this morning as part of that resistance. 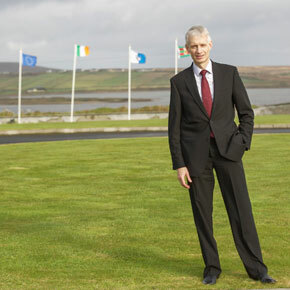 Outgoing head of Shell E&P Ireland Michael Crothers has said that the Irish planning system is “adversarial”, and mediation could replace “resorting to the courts”. Garda assaulting community protesters and the media not reporting? Dawn raids and heavy handed arrests? Politicians spinning greater and greater lies about 'sinister fringes' and dissidents? What's happening now to Water Charge resistors happened to the people of Rossport a few years back and we can learn from their determined resistance. JOURNALIST, ECONOMIST AND author, Colm Rapple has died after a short illness in hospital.